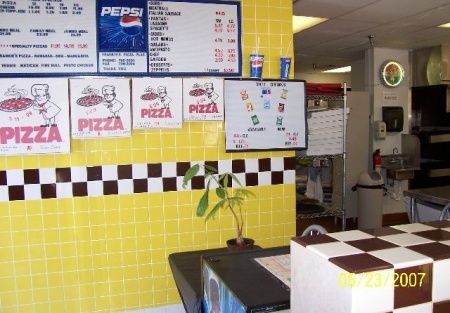 "Like New" describes this beautiful and bright Pizza Restaurant. All equipment and improvements are less than 2 years old. Located front and center in a very popular strip mall with plenty of parking. On the corner of the highest traffic intersection in the city, a stones throw away from Interstate 10. Restaurant has 1,285 sq. ft. with a base rent of $2,724. Dining area has seating for 24. Lease has 41/2 years left, plus a 5 year option. Restaurant does delivery, take-out, and dine-in. Also, selling pizzas daily to the lunch wagons. Add beer and wine to encrease sales. This is a great opportunity! Over $200,000 was invested to open this restaurant. What a steal at $59,000!! Take the next step and complete the online confidentiality agreement and you'll be provided with the restaurant name and address. Also you will given priority notification to new listings in the future, prior to the general public, giving you the best chance to "scoop in" the best opportunities. There are also more photos available to our registered buyers. With PRICE REDUCED, This will go FAST! !